Welcome to Knowledge World BD's English Grammar Lesson. 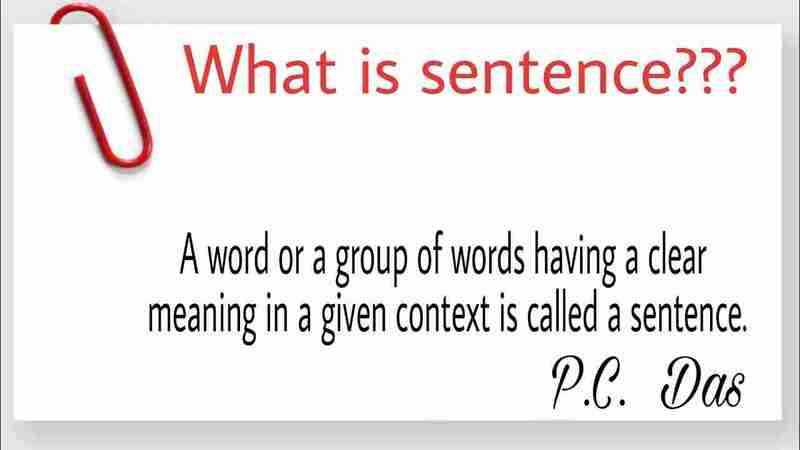 In this lesson, I will discuss Sentence and kinds of sentence – simple sentence, complex sentence, compound sentence. This lesson is very important for all English Grammar and English Language Learners. We express our through and emotional feelings via language. And you know that we can not express anything without sentence. For this sentence is called the soul of language. So read attentively this lesson and practice as well if you want to really learn English. i) Is it a meaningful passage? ii) Does each group of words give a complete meaning? iii) “Mohi Uddin is a student” – is it a group of words? This group of words “Mohi Uddin is student” is giving a complete idea or meaning. Here it is a sentence. Other groups of words also explorer meaning. So they are also sentences. A sentence is a group of words giving a complete sense or meaning. NB: Remember the words you say or write cannot make a sentence if they do not express your idea or thought completely. Now I shall try to discuss about this 3 kinds sentence in brief. Mithun is in class ten. He lives in Bishoykhali with his parents. He has two Brothers. They are also students. Mithun has a friend. His name is Shimul. He is also in class ten. Mithun and Shimul go to school every day. Returning from School, they play on the lawn: They sit to readjust after sun set. The lesson being over, they go to bed by 11 p. m. Both Mithun and Shimul are good students. Reading is favorite to them; they like to play after school. (Note: In the above passage every sentence has only one subject, one finite verb and also one clause. Students should also know that a clause means a part of a sentence). A sentence which has only one Subject, only one Finite verb and only one clause is called a simple Sentence. the Finite verb may be expressed or understood. Hence, each of the sentences in the passage is a simple sentence. 1. Mithun is in class ten. 2. Returning from school, they play in the lawn. 3. Both Mithun and Shimul are good students. 4. They like to play after school. In sentence 1. “Mithun is in class ten” here “Mithun” is “subject” and “class ten” is “Finite verb” and This sentence expressing full meaning. So it is a complete sentence. Thus all of above sentence are giving us complete and clear meaning. So those are sentence. some sentences having one Clause, one Finite verb and only one, Subject, some sentences having more than one principal clause and one or two subordinate clauses and some sentences having more clauses joined by connective words or relative conjunctions? All this sentence are complex sentence. So complex sentence is one that contains one principal clause with one or subordinate clauses. what a is complex sentence? A complex sentence is one that contains one principal clause with one or subordinate clauses. • In above you read about a simple sentence. Now identify the simple sentences. • The other sentences with two clauses are complex sentences. Identify them. Bangladesh is an agricultural country. She depends on agriculture for her economical development. As her economy depends on agriculture, we should lay emphasis on agriculture. We have to develop cultivation scientifically because scientific method of cultivation can ensure more production. For this purpose we have to identify the problems that our farmers face. They are not only illiterate but also ignorant. They are both deprived and neglected. Though they work hard, they do not get what they deserve. They cannot improve their condition but they work from morning till dusk. They live in want and cannot maintain the family decently. Having worked for whole life, they die in hunger and poverfy. It is really a great pity. Some farmers have neither land of their own or good house to live in. They pass their days in miseries. They till the land of others and take the share of crops. Thus they maintain the family. The landless farmers also work as day laborers. They earn more by working hard during sowing or harvesting season. Some steps have been taken to improve the condition of our farmers. More should be done in this regard; otherwise, the country will not develop rapidly. We must remember that the development of the farmers means the prosperity of the country. The other important thing is industrialization which will create job opportunities. So the emphasis should be given to industrialization for attaining economic development. In the above, you read about simple and complex sentences. what a compound sentence is. A compound sentence has more than one principal clause connected by one or more coordinating conjunction. 1. The man is rich but not happy. 2. He is poor but honest. 3. Read regularly or you will not do well in the examination. 4. I always help you, on the contrary, you work against me. 5. Neither Rahim nor his brothers are working here. 6. I know you spoke to me, yet I am not angry with you. In this lesson, I have tried to discuss sentence and kinds of the sentence according to the structure. In next lesson, I shall try to discuss kinds of the sentence according to meanings. Hope you will study and practice more and more. Learnt what a sentence is and how to make a sentence. Learnt kinds of sentences according to meaning – Assertive, Interrogative, Imperative, Optative and Exclamatory. Learnt kinds of sentences according to structure – Simple, Complex and Compound. been able to understand and make a simple sentence. ability to understand why the sentences are simple. learned to identify principal and subordinate clauses of the sentence learned identifying, simple, complex and compound sentence.